Mosquitoes carry dangerous diseases and should be avoided as much as possible in the summer months. Find out how you can deter them within your landscaping. As the weather warms up, you will love hanging out in yard and getting started on landscaping. Unfortunately, mosquitos will also start to make their presence known as winter melts into spring. 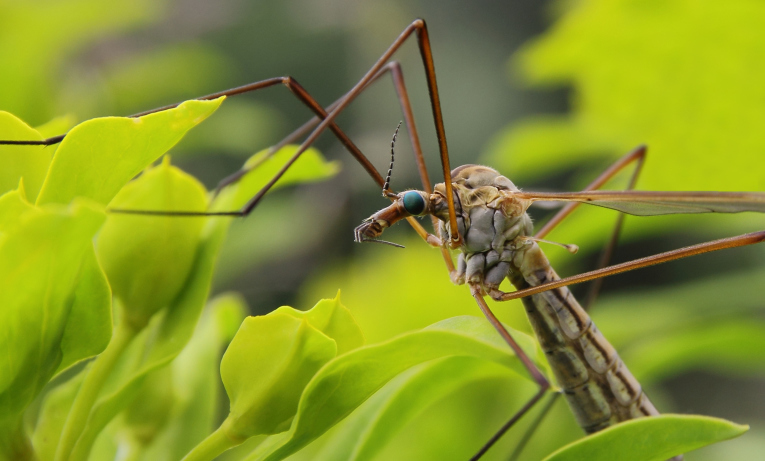 Creating and having beautiful landscaping is delightful, but mosquitos can take a real chunk out of that fun. Fortunately, with some clever landscaping, you can get rid of the annoyance caused by mosquitos before they even begin to appear. You can repel them and deter them from breeding and creating an even more inconvenient menace. Take a look at mosquito resistant landscaping techniques and get started on mosquito-proofing your outdoor experience. We all have been enjoying a day outside, only to reach for the bug spray when we are suddenly swamped by mosquitos. This is, however not the best option for you and your health. Many of the bug sprays you buy in stores have harmful chemicals in them that harm your long term health as much as they harm the mosquitos you are trying to repel. Catnip oil is an all natural option which can replace bug sprays. If you have a green thumb, consider planting some citronella. This plant is a safe mosquito repellant and can be grown right in your yard. Citronella is not the only naturally animal resistant or repellant plant you can incorporate into your landscaping. However, it is important to take scent into consideration when choosing strategic plants to incorporate into your landscaping. While many of these plants have a scent that mosquitoes do not like, you may not enjoy the scent either, so be sure to pick a plant with a scent that appeals to you before planting. Plants commonly used to deter mosquitos include marigolds, asters, chrysanthemums, and pythethrum daisies. There are also insect repellent herbs, such as basil, anise, and coriander. Plant these near your deck, or in flower boxes near your windows to deter mosquitos. Expert advice, installation, and care is a key factor in maintaining the integrity of your property year-round. The Atlantic Maintenance Group offers quality landscape, asphalt, snow removal and concrete maintenance services. We have the expertise to help meet all of your needs. Click here for a free quote today, give us a call at 410-768-4720 or contact us via our website to start planning for your maintenance needs. This entry was posted on Friday, April 15th, 2016	at 4:03 pm	and is filed under Blog	. You can follow any responses to this entry through the RSS 2.0	feed. Both comments and pings are currently closed.